Six actors, a bare stage, harsh lighting, no script. 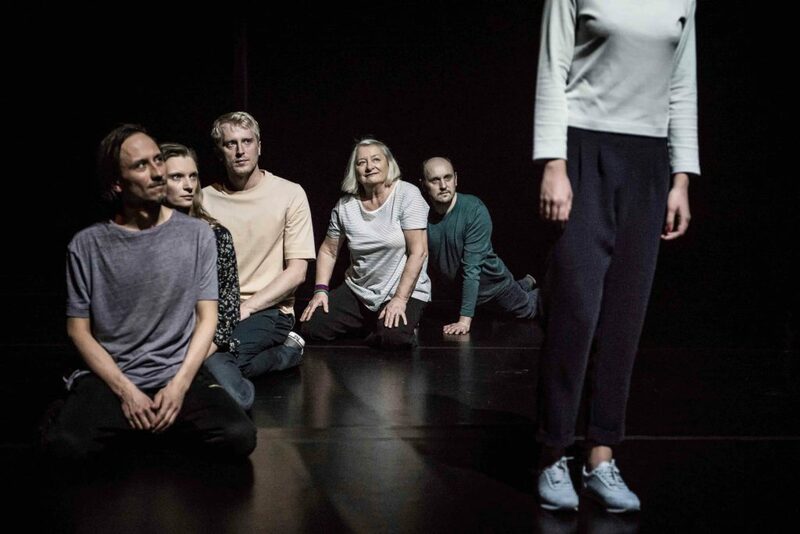 Seated behind the auditorium, invisible for the audience, microphone in hand, the director Anna Karasińska, a vital force in Polish theatre, gives directions, composes mini narratives. Impressively precise in their approach, the actors are promptly transformed in this laboratory of improvisation. If the imagination is a muscle, then this is its gym. What magical link unites actors and spectators, one that has the latter believing in an entire world when in fact the stage is empty? Rebelling against the theatrical heritage of the Polish masters, Karasińska questions the rules governing the actor’s work, thereby activating our power of evocation. From shadow to light, she brings forth anonymous figures of daily life: the cashier at the supermarket, the passenger next to you on the bus, the pedestrian on the street. With a gesture or a grin, fauna spring to life and then disappear. In music, a fantasia is an instrumental piece of no fixed form, shifting between two poles, between freedom and rigour. Exactly like Fantasia. 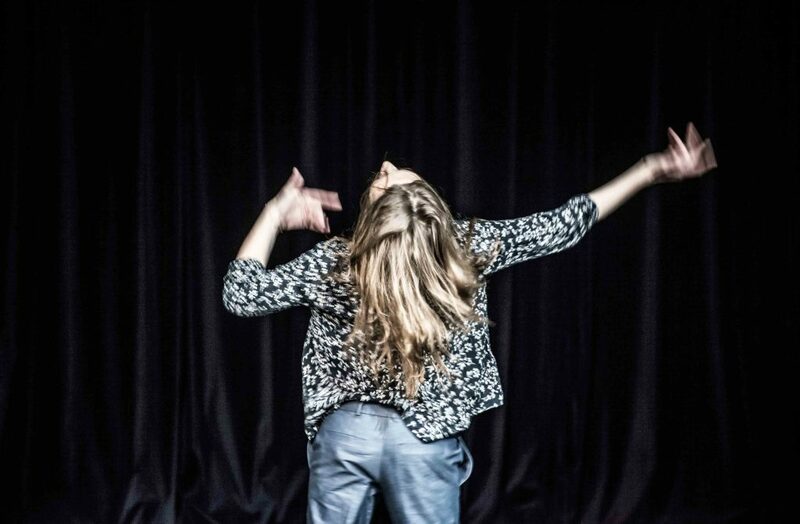 She has been called “a virus in Polish theatre”, but the young director Anna Karasińska initially studied fine arts, philosophy and choreography before attending film school in Łodz. An assistant for other directors, she directed a few short films before moving on to theatre. She made a brilliant début with her first play Ewelina’s Crying, which was a huge success. Produced in 2015 by the company TR Warszawa, one of the most important theaters in Poland (leaded by Grzegorz Jarzyna, it has produced as well plays directed by Krystian Lupa, Kornel Mundruczo and Krzysztof Warlikowski), the piece is a dazzling parallel narrative that demands of the actors that they play amateurs performing as “real” actors. Opting for formal simplicity and disdaining hierarchy, she shatters traditional rules of theatre. Influenced by her Buddhist practice, she creates shows that are a powerful experience for the actors and for the spectators. Looking at the other becomes a revolutionary act. 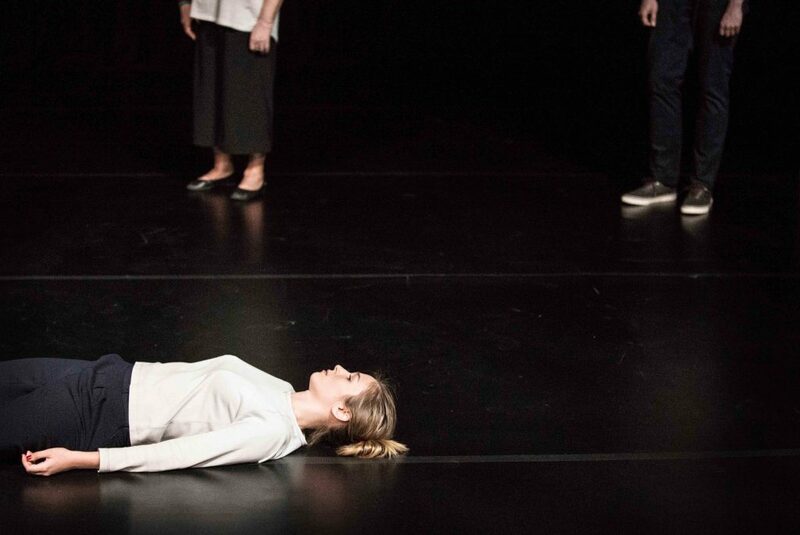 After making its début in Warsaw, Fantasia was then presented at Dublin Theatre Festival and in Hellerau – European Centre for the Arts, in Dresden in 2018, as well in Münchner Kammerspiele in 2019. Your approach to theater is very personal. Do you have specific topics in mind when you start a project? In the way I work, every life experience becomes part of my art, and vice-versa. When artists say “I keep my work and my private life separate”, I am astounded. For me, that is not possible. I don’t think too much about what themes to pursue. The subject simply becomes a pretext for the mechanism that I put into motion. What interests me in particular is using art as a way of living in the present moment. You have stated that your vision of art is very particular because you are a Buddhist. How does that affect your work? I would say that the Buddhist influence is reflected in my view of art as a means of letting go. In my shows I try to keep the spectator in a state of ambivalence, amusement and alarm. By creating ambivalent situations, I try to overrule control of the intellect, narrow concepts, restrictive narrative and signification. I try to make the audience abandon notions of what is considered real or perceptible. Some people recognize a Buddhist imprint in my work in that it connects with a more traditional view of what Buddhism is. People describe my work as an attempt to “establish an ethics of consideration”. I find that amusing, but I suppose it is true. I do ask myself whether my work can benefits others, and how. That is my motivation. Fantasia consists of a suite of scenes— some of which are improvised— that you outline by microphone. 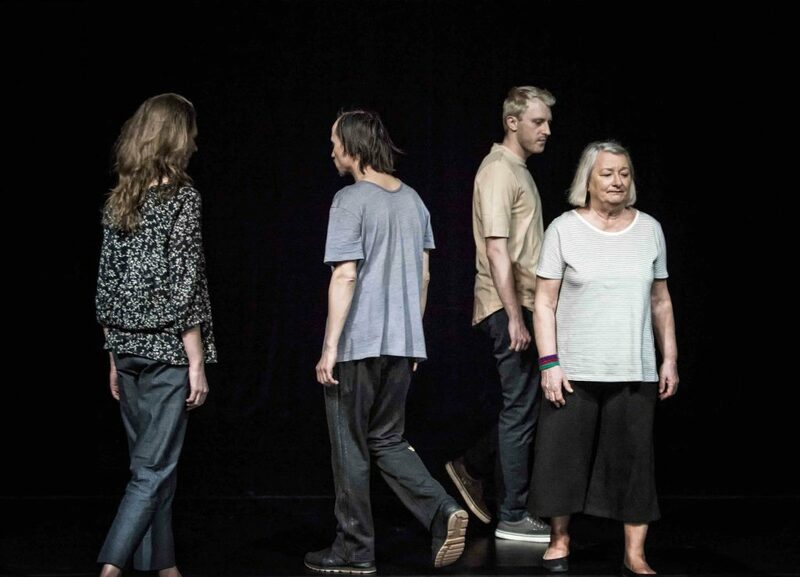 They are then performed by the six actors onstage. You demolish the ideas of traditional theatre by demanding a lot of the spectators’ imagination. What is the reason for that stripped-down approach? I usually deconstruct traditional theatrical staging because I want the spectator to experience what is happening, not simply watch it as a viewer. I don’t create something to be watched, a pre-packaged world. My works are events that take place in the present moment, and the audience is part of the show. My experience is that audiences love to be active. Fantasia veers even further from traditional theatre than my previous pieces. I felt I needed people to really see themselves without any artifice, to experience being together, right here and right now, and interact with others. In Fantasia this possibility of “seeing others” also became the main theme of the play. The piece is eminently political, as I wanted it to have such a strong impact that it would change people’s attitudes, at least for a time. The purpose of Fantasia was to talk about people around us, people we don’t usually notice? The purpose was to work with the fact that we don’t really see others, that we should learn to see them, at least for the duration of a show. I started the process by analyzing the reasons that stop us from realizing our primary need, which is to be in contact with others. Who are the people we see, and those we don’t? How many people a day do we really see, from among the many we encounter? And why? Why are some not seen by anyone? Of course there are countless reasons for that. I have noted only some, and that became the basis for the structure of Fantasia. The goal of the play was to take the component elements of theatre (script, actor, spectator) and use them in a new configuration in order for “humans to see humans” for real; not merely seeing, but also compassion. I think that being compassionate, a unique and meaningful human activity, is somehow forgotten. Even the word compassion itself has somehow been replaced by a lighter, more artificial term – empathy. I think that “empathy” is often an educated form of pity. We wanted to create onstage a mechanism that would evoke genuine compassion in the hearts of spectators – meaning the state of seeing others, recognizing them as equal and similar, not judging them, being kindly disposed toward them.